Yippee! I just got Summer Pavers Kit Sample together. I wanted bright, popping color that make me think of Summer. I will use the leftovers from the Blocks to do the Binding. Yes, Summer Paver is all batiks and can be found on my website with or without the pattern. 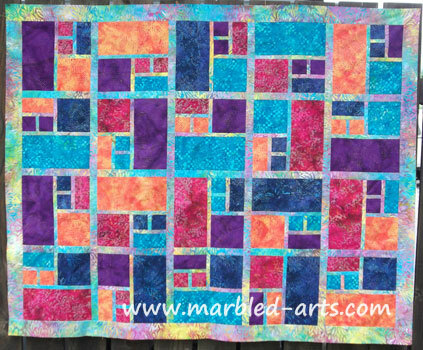 This entry was posted in Current Pattern Samples and tagged Beautiful Batiks, Pavers Pattern by Suzi. Bookmark the permalink.